There was a requirement where I work to automate archiving of Sharepoint 2007 lists. Thought someone might find my powershell implementation useful. If running SharePoint on Windows 2003, one just needs to install Powershell components. Thanks go out to http://www.astaticstate.com/2007/10/copy-version-history-with_5.html. My implementation adapted from their code. Quite the beefy little ARM unit hosting the new Exynos 5 with 8 cores (4 usable at a time). Essentially it switches between 4 cores that are for light tasks and 4 which are for heavy tasks. Not sure if it's possible to use them all at once, haven't looked into this yet. The whole switching thing is ARM's "big.LITTLE" trademarked design in an attempt to be more energy efficient on mobile devices. The GPU is compliant with OpenCL 1.1 embedded platform profile. I'm having a serious battle with myself over if I should get it or not. I currently have the ODROID-U2, however, I would like to get my hands on this one because of the GPUs OpenCL 1.1 compliance, albeit only embedded profile as opposed to full. It would allow me to test some OpenCL code I've been playing with for BOINC on an ARM based device. The problem is that I'm in no position to throw money at new toys. Oh, what to do? 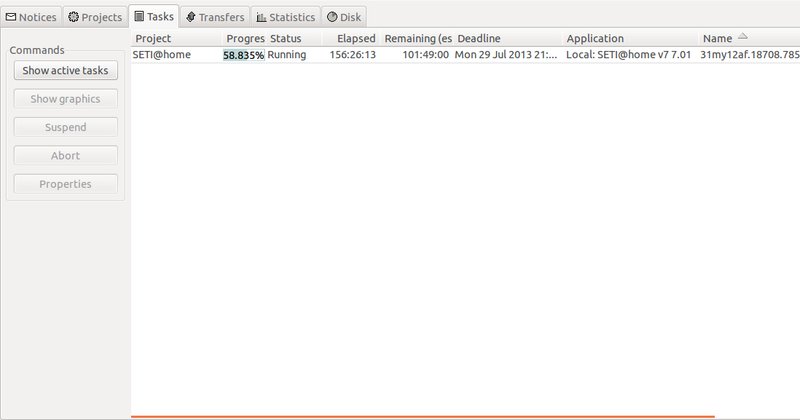 Maybe I should wait for something in the same class packing a GPU with full profile OpenCL 1.1 support. 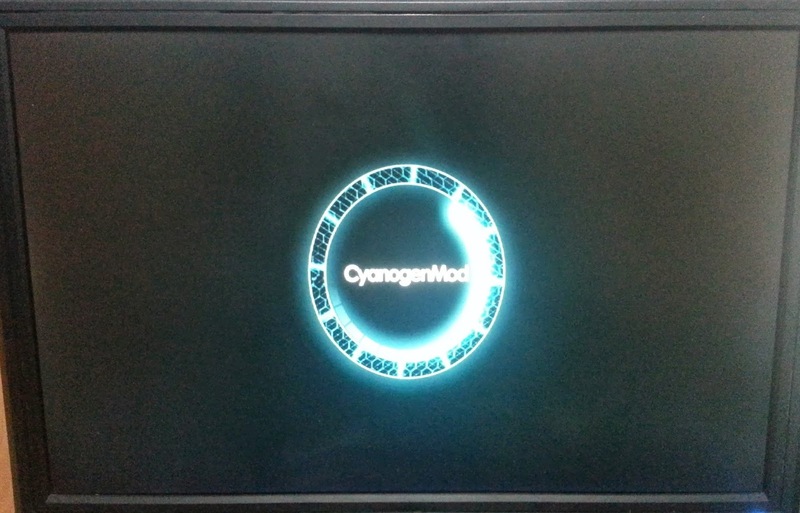 I don't know if it's pre-exam jitters or what, but I felt compelled at 3AM in the morning to put together a little instructional on how to get latest CyanogenMod build on the ODROID-U2. Stable was just released a couple days ago. What follows is by no means "complete". Just documenting as I went more than anything. Note: Assumes we're installing onto an SD card. This to be done from a machine with an SD Card reader. We're dumping the 4.1.6 beta image from HardKernel as we want to use the CWM recovery tool to update to CyanogenMod's latest release. Adjust method below depending on your platform. 3. Dump to SD card. 4. Insert SD card into ODROID-U2 with keyboard and mouse and boot. Now it's time to prepare the ODROID-U2 for latest CyanogenMod release. Might as well jump to my blog post from the ODROID-U2 itself to click the links for easier download. I'll be back to update this later as there will probably be a few bugs to nut out. SETI@Home v7 Raspberry Pi Success! Took ~10 days to finish. $ boinccmd --get_state | grep -A 8 "Application versions"
MarkJ reminded me that SETI now have a new client which means the old v6 client will discontinue to work. 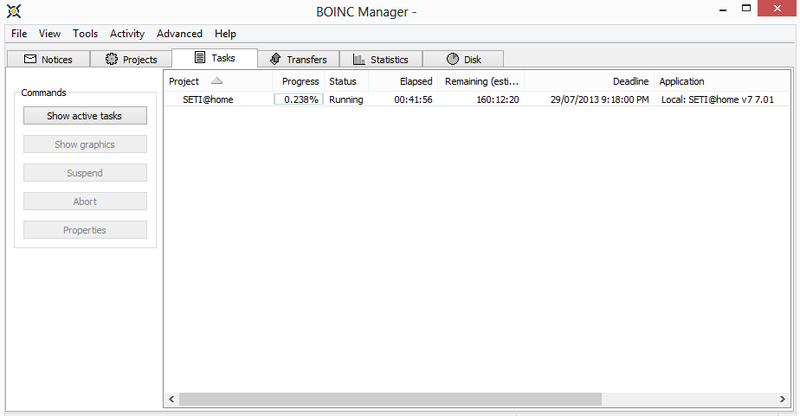 As always, with my packages, this just needs to be extracted into the BOINC project folder. If you already have SETI attached you should only need to fix permissions and restart client for it to read new app_info.xml file and start giving you v7 tasks. My task won't finish for a while so can't let you know if it works yet. However, it's available for those that want to give it a crack. Thought I'd post something to let people know that semester 1 classes begin tomorrow. This means I won't be able to dedicate as much time to my "toys" and hence the content updates on the blog will most probably suffer. I'll be continuing to watch things and might post now and then. 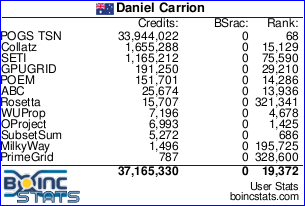 If you have any requests or suggestions for porting BOINC apps over to a certain platform feel free to post and I can try have a look into it when I get a chance.